Product #6434 | SKU HPR-003X2 | 0.0 (no ratings yet) Thanks for your rating! 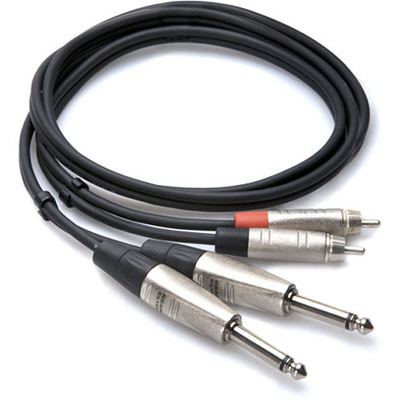 Hosa HPR-003X2 Dual Pro 1/4'' to RCA Cable (3ft). This cable is designed connect gear with unbalanced phone jacks to gear with phono jacks. It is ideal for use in touring and other live-sound applications.